If you are looking for an activity that will rattle your bones in fear, it’s probably a good thing that the Halloween season is right around the corner. From haunted tours to moonlit hayrides, Los Angeles has some terrifying events for you to enjoy. 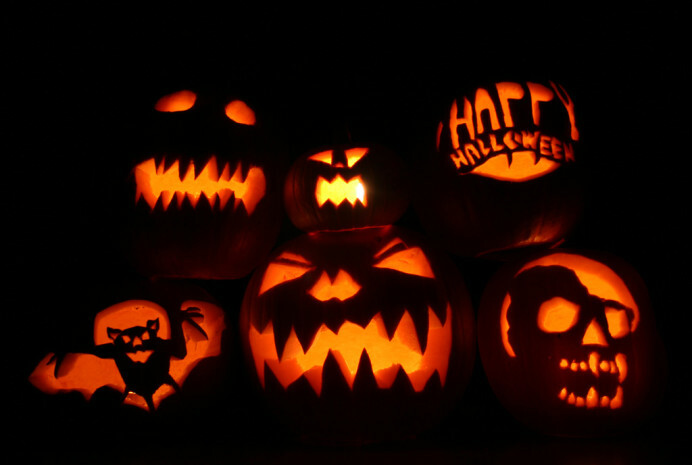 Here are some Halloween events in Los Angeles if you love Halloween. The Los Angeles Haunted HayRide has consistently been one of the scariest experiences in LA. This fall, the theme for the HayRide is a secret society. You’ll find yourself in the midst of initiation as you have to face the ghosts that are hidden in the haunted forest. Feel like trying to make your way through a haunted corn maze in the dark? Look out for the unsavory characters that could be hiding around every corner. There are a lot more scary activities to experience at the Los Angeles Haunted HayRide. Dark Harbor at the Queen Mary returns from September 30th through October 31st. Dark Harbor will be open from 7pm-12AM, and on Fridays and Saturdays, it will be open until 1 AM. At Dark Harbor, you will come face to face with some wicked spirits, ghouls and other frightening characters. With some themed mazes, the night is full of frights! Tickets start at only $20 when purchased online. Halloween Horror Nights at Universal Studios is one of the most visited attractions during the Halloween season. Some themed mazes are sure to get your heart racing in fear. Mazes this year include the Texas Chainsaw Massacre, American Horror Story, Halloween, Freddy vs. Jason and the all-new The Exorcist maze. Horror nights start on September 29th and runs until November 4th. During October, Horror Nights will be from Thursday through Sunday.